Do you want to learn how to market yourself and your business on Twitter? Are you looking for a resource to guide your Twitter marketing efforts? Whether you’re marketing on Twitter as an individual or as a brand, these expert articles will help you network with colleagues, generate leads, deliver effective advertising and measure the return on your activities. Each of these articles will help you understand and master a specific part of marketing on the Twitter platform. 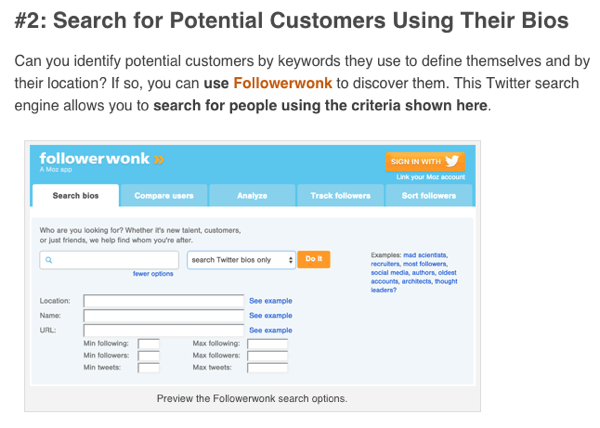 How to Find More Customers With Twitter: This article shows how to find customers on Twitter with FollowerWonk, IFTTT, SocialBro and Socedo. Tools and tips to help you find more customers on Twitter. Do you use social media to promote your product, service or events? Are you wondering how you can use Twitter to help get more visibility and sales? 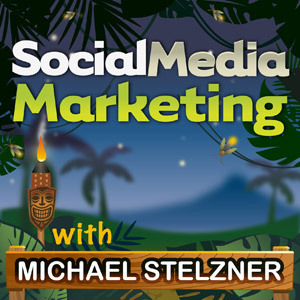 To learn how Twitter can be used to encourage others to promote for you, this episode of the Social Media Marketing podcast gives you insight into the subject. In this episode, you’ll discover five different ways you can use Twitter to promote what you have to offer. Are you interested in learning more about advertising on Twitter? 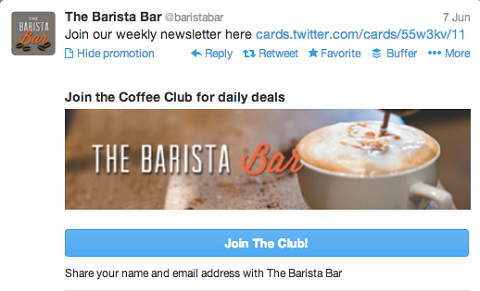 Have you followed the latest on Twitter ads? Twitter has many paid options to help you gain more exposure. Keep reading to discover three ways to use Twitter ads to grow your business. When Twitter released their advertising platforms, there was a huge lack of functionality when it came to targeting your ads toward specific audiences. While it’s still not as detailed as Facebook or LinkedIn advertising, Twitter has come a long way in making sure your advertising reaches the right audience. In this post, we’re going to look at how to create a high-performance Twitter ad campaign for your business. One of the most popular uses of Twitter advertising is to promote a specific message (tweet) on Twitter. For example, if you search Twitter for a particular keyword, you’re likely to see a promoted tweet at the top of search results. 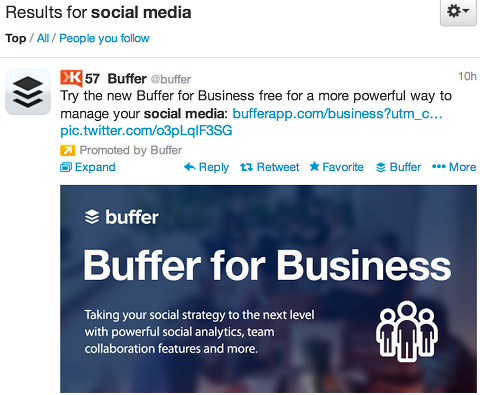 Example of a promoted tweet from Buffer. Much of this advice is framed as “universal truths” that every business must follow. Unfortunately, a lot of it is based on the expert’s personal experience. And that may not be appropriate for you. Even the most well-intended advice is often off the mark when it comes to your business. Join 465,000+ of your peers! Get our latest articles delivered to your email inbox and get the FREE Social Media Marketing Industry Report! 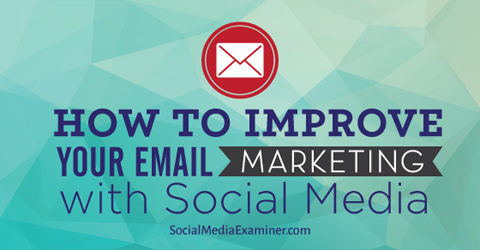 Want to write for Social Media Examiner?